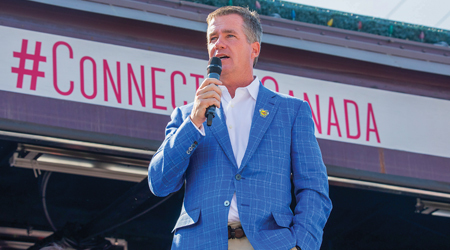 Keith Creel addressed attendees at a CP Canada 150 Train event held July 30 in Calgary, Alberta. Keith Creel has a railroad to run. As Canadian Pacific’s leader, he’s been trekking along the rails, through the skies and across North American byways to preach the virtues of operational precision, heightened customer responsiveness and stronger labor relations. The peripatetic Creel already is generating strong financial results and drawing investor praise even though he’s only been president and chief executive officer a scant seven-plus months. He’s also garnering guarded optimism among rail union leaders about CP’s upper management, which is no small feat. Some union officials still are smarting from bitter job-loss battles and contract standoffs with Creel’s controversial predecessor and mentor, E. Hunter Harrison, who led CP for more than four years before becoming CSX’s CEO this past March. But as some rail industry observers acknowledge and he himself admits, some of the toughest work still lies ahead for Creel. The first-time chief officer — and 17th person to lead CP since 1881 — aims to continue driving solid top-line growth and bottom-line results amid several ongoing challenges. Clearing what Creel recognizes as the main hurdles will require actions that expand efficiency gains, refine the marketing approach, regain some shippers’ trust and reinvigorate a beleaguered workforce worn down the past few years by tumultuous change — from numerous yard closings to massive job cuts to a slew of operating practice modifications. Creel, 49, is a 25-year rail industry veteran with experience in many areas. He joined CP in February 2013 as president and chief operating officer, reteaming with Harrison. Prior to that, he spent 11 years at CN, many of them working side by side with then-CEO Harrison in such high-level posts as executive vice president and COO, and EVP of operations. His earlier positions at CN involved overseeing three different regions as either senior VP or VP. Creel began his railroad career in 1992 at Burlington Northern Railway as an intermodal ramp manager in Birmingham, Alabama, and later held various operating and management positions with the Grand Trunk Western and Illinois Central railroads. Although he’s attempting to forge his own mark on CP, Creel plans to meet his objectives in part by embracing many of Harrison’s guiding principles, including the precision railroading model that calls for operating fewer and faster trains, and prioritizing shipments from origin to destination. Under Harrison, the railroad’s network became faster and more fluid, and its finances grew more solid, including a record-low operating ratio. 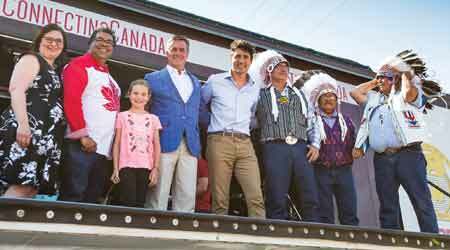 Canadian Prime Minister Justin Trudeau (fifth from left) and Creel (fourth from left) stood in front of the Centennial Train at the Calgary event in July. Yet Creel aims to avoid his headstrong predecessor’s penchant for contentious labor relations and morale-impacting moves. Ultimately, by doing what it takes to unify the company and re-engage business partners and customers, CP will be able to continue boosting operational and financial performance, Creel believes. Even though he assumed the top post about five months earlier than set forth in a succession agreement reached with CP last year, Creel is placing the onus on himself to reach those objectives. CP is off to a strong start so far in 2017, and its “family of 12,000 committed railroaders” will continue to safely and efficiently deliver results through the year’s second half, Creel wrote in an email. He penned it last month while aboard the Canada 150 Train, CP’s cross-country heritage train carrying restored Royal Canadian Pacific cars. The train made 13 stops from late July through August — often with Creel aboard — to mark Canada’s 150th anniversary. His Canada 150 Train excursions illustrate Creel’s embrace of the top job’s often grueling demands, including travel. In such a short time, he’s also met with and appeared in photo ops with Canadian Prime Minister Justin Trudeau; interacted with shippers in Canada and the United States; and discussed objectives and goals with employees during town hall meetings in both nations. A marketing department reinvigorated by Creel is helping to leverage CP’s operating strengths. A new seven-day service (promoted on the map above) plays into that goal. Another arduous task Creel’s taking on: re-establishing morale. Less than a month on the job, he attempted to address it by proclaiming “the beaver is back” while unveiling a new corporate logo. It blends the more recent red ‘CP’ lettering with the iconic beaver image that had been part of the railroad’s logo for more than a century and was popular among many employees, but was dropped by Harrison. To some rail industry observers, such moves indicate Creel’s willingness to act quickly when necessary and follow a different path than his predecessor. He’s opted for a lower-key, less-confrontational approach to win over customers and employees, some of whom — as Creel characterizes it — were “bruised” by prior strained relationships with CP. An indicator of the newfound approach came just a few weeks into the top job, when Creel chose John Brooks as SVP and chief marketing officer, says Tony Hatch, an independent transportation analyst and Progressive Railroading columnist. The Class I did not have a CMO under Harrison, who wasn’t as customer-focused, he says. Brooks began his railroad career 20 years ago with Union Pacific Railroad and later helped start I&M Rail Link LLC, which was purchased by the Dakota, Minnesota and Eastern Railroad (DM&E) in 2002. He was the DM&E’s VP of marketing when CP acquired the railroad in 2007. Creel believes Brooks is helping create the same kind of performance culture in CP’s marketing team that’s visible in the operating team — a change that figures to help the Class I better leverage its strengths and diversify its traffic. 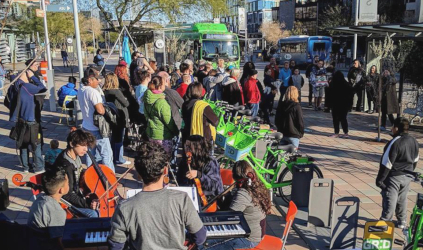 Those are some of the goals of a new direct daily service the marketing team helped develop between Vancouver, British Columbia, and Detroit. 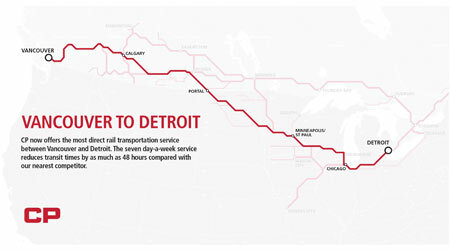 Team members hope the service launched last month will cut transit times from the West Coast to Detroit by as much as 48 hours, as is expected, as well as extend CP’s reach and broaden shippers’ access to key markets. The service takes advantage of the Class I’s newest transload facility in Vancouver and its live-lift operation in Portal, North Dakota, Brooks said in a press release. The operation enables customs authorities to inspect one container at a time rather than holding up blocks of containers at the border. Creel’s actions so far show that, while he learned a lot after many years at Harrison’s side, he’s proving to be a capable, strong leader, says longtime rail industry analyst John Larkin. “He knows when to push and when to pull to get things done,” says Larkin, the managing director of transportation capital markets research for Stifel Financial Corp.
It’s a mindset that’s also been comforting to many investors. In early August, 10 of 17 analysts rated CP’s stock as a “strong buy,” according to Nasdaq Inc. There was some initial concern among shareholders about how Creel would lead the railroad in the face of a potential border adjustment tax on imports and a renegotiated North American Free Trade Agreement, which could slow export traffic into the United States. But “they’ve become more comfortable with Keith,” Larkin says. That comfort level likely increased in late July, when Creel unveiled record-setting second-quarter financial results that included an earnings high-water mark of C$3.27 per share. He was able to maintain, and in some cases build upon, the solid financial performance that colored Harrison’s tenure, as evidenced by the 13 percent growth in revenue, 46 percent jump in net income and 3.3-point drop in the operating ratio versus the same 2016 period. It’s becoming apparent that Creel is making solid decisions, and there’s no reason to think that’ll change, says Hatch. “Long term, there is a general sense that CP is in good hands,” he says. Yet, despite investors’ growing confidence in the Class I’s direction, Teamsters Canada Rail Conference (TCRC) leaders have a more measured response to it. Officials at the union — which represents more than 3,000 CP engineers and other workers — were often at odds with Harrison, as evidenced by a strike that occurred in 2015. In a bid to head off another potential TCRC strike, Creel in July announced that he had officially invited the union to extend the current contract for one additional year to December 2018, with hopes of eventually negotiating a longer-term contract. 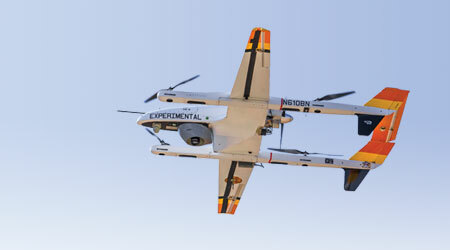 He indicated the offer had a limited shelf life and hoped for a new pact by September. Creel began the fence-mending with labor shortly after becoming president, traveling to several CP locations to meet more than 1,500 employees in town-hall settings. Yet, more needs to be done, said Finnson, who offered faint praise for “a little bit” of improvement in TCRC's relations with CP of late. 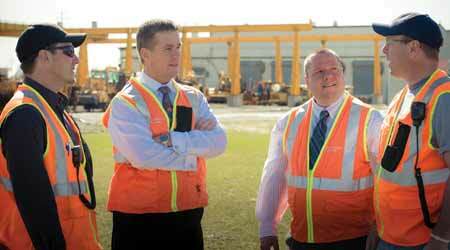 When he was serving as president and chief operating officer in 2014, Creel (second from left) would often meet with workers in the field. He also values his nearly two-decade-long relationship with Harrison, who was an influential mentor. As they watch Creel’s tenure unfold, some observers say there’s a former Class I leader who he might wish to emulate: Claude Mongeau, who helmed CN from January 2010 to July 2016. Like Creel, Mongeau filled a profitable, yet contentious void left by Harrison when he departed CN in 2011. Mongeau developed his own vision for CN, building on Harrison’s precision railroading, while also similarly healing wounds with shippers and employees, observers say. It was a recipe for success when CN was the best-run railroad in North America, says Hatch, adding that he envisions much of that same potential for CP with Creel at the wheel. “He has already created a CMO. He is already re-engaging customers. He is increasing innovation. He is talking a game that more customers are willing to hear,” Hatch says. Over the past two decades, Creel has helped boost operational performance at three Class Is — efforts that Progressive Railroading recognized in 2014 by presenting him its Railroad Innovator Award, which recognizes an individual’s outstanding achievement in the rail industry. Now, Creel faces more daunting challenges as CP’s top officer. Larkin is convinced he’s up to the task. To make that happen, it’s going to take a total team effort, Creel figures. Robert J. Derocher is a Loudonville, New York-based freelance writer. Email comments or questions to prograil@tradepress.com.